Saskatchewan belongs to the family of Prairie Provinces of Western Canada. Apart from agriculture, industries like forestry and fishing also serve as primary source of its economy. Saskatchewan proudly owns two most rapidly growing economies of the country, Regina, and Saskatoon. 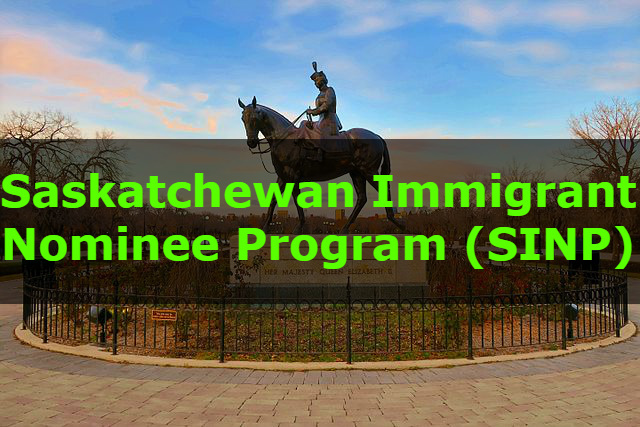 Saskatchewan’s Provincial Nominee Program (SINP) targets experienced and skilled immigrants. After evaluation, these immigrants may receive Saskatchewan Provincial Nomination Certificate. This allows foreign nationals to apply for Canadian permanent residence. As compared to other Canadian immigration classes, processing under this program takes less time. The categories mentioned above, may include one or more sub-categories. To ascertain whether SINP is the right program for you, please find the additional information about each of these categories. This particular category relates to the foreign workers, presently living in Saskatchewan. Following are the sub-categories, under which applicants may apply. This sub-category is for individuals having at least six months working experience in the health profession. It includes applicants working as a physician, nurse, or related to any other health profession in Saskatchewan. Individuals having a valid work permit and at least six months working experience in Saskatchewan may apply under this sub-category. This sub-category accepts applications from individuals with at least six months working experience in Saskatchewan’s hospitality sector. Employees included in this sector are food counter attendants, kitchen helpers, food and beverage servers or housekeeping and cleaning staff. The employer must seek approval from the Province authorities before the applicant actually starts working in Saskatchewan. Candidates with six months experience as working for Saskatchewan’s approved trucking firm may apply. Only those drivers working with the same employer for six consecutive months may apply under this sub-category. Students having Bachelors degree from a recognized post-secondary institution in Canada may apply under this sub-category. Following are the requirements to apply for this project. Skilled workers planning to live and work in Saskatchewan can apply under this category. A Point-based system evaluates the eligibility of applicants and nominates them under any one of these three sub-categories. At present, it is not possible to apply under this sub-category. Highly skilled workers having experience regarding an in-demand occupation in Saskatchewan are eligible to apply. However, a job offer from the employer is not necessary. Skilled workers with an offer from a Saskatchewan employer may apply under this sub-category. New applications under this sub-category are not acceptable. Individuals enrolled in Immigration, Refugees, and Citizenship Canada’s (IRCC) Express Entry pool may receive nominations. Moreover, the applicant must possess skilled work experience regarding an in-demand occupation in the province. This category is an ideal opportunity for individuals, who are willing to own or operate an entrepreneur business or a farm in Saskatchewan. This sub-category belongs to such applicants, planning to invest capital and management talent in Saskatchewan. These individuals must establish a business in Saskatchewan by either acquiring it or by entering into a partnership. Candidates must perform managerial activities in the business. Entrepreneur sub-category follows the Expression of Interest (EOI) model. This sub-category targets experienced farmers willing to invest considerable capital in a farming operation and reside in Saskatchewan.